The Application has been set up as an Adobe fillable form. When you open the form in Adobe Acrobat Reader, it will highlight the fields to be completed. Do not fill in any blanks on the Payment Authorization at this time. The fields on the top of the Payment Authorization and Checklist should fill in automatically as you complete the Application. Complete all fields in the Application that apply. Check the box indicating which Membership Type you desire. If you only desire an Individual Membership, you do not need to complete the “Family Members” section. If you desire a Family Membership, the “Family Members” section should be completed for all family members 21 years of age and older that desire to have full membership privileges, including after hours access. Also indicate whether you desire to rent an optional private locker, and the size. There are very few large lockers. If you desire a large locker but one is not available at the time you join, your name will go on a waiting list for the large lockers and you will be given the small locker in the interim. The Membership Fee is the same regardless of the type of Membership. You can change from Individual Membership to Family Membership, or vice versa, by sending an e-mail to the contact listed below instructing us to make the change. The change will be effective on the first day of the following month, provided we receive your notice in enough time to implement the change to the recurring monthly payment charge. You can also bring the completed and signed application to the store during our regular hours. We will make arrangements for the Club orientation and schedule the Beginner Handgun Fundamentals (or equivalent) Class for new members. At the Club orientation, we will ask you to complete and sign the Payment Authorization for the monthly dues, and pay the pro-rated dues for that month. You will also need to bring evidence of a firearms background check in your recent past. The background check can be evidenced by a Federal Firearms License, a NC Concealed Handgun Permit, a NC Pistol Permit, a law enforcement ID (if presently employed as law enforcement officer), or a copy of a receipt for a firearm purchase within the past six months. 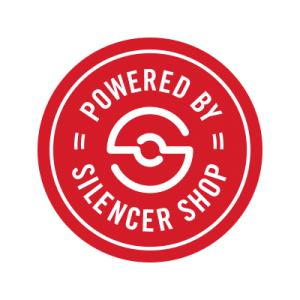 We are excited to have you as a Member of Patriot Gun Club at Point Blank Range. 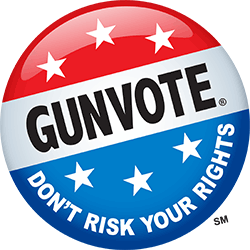 Your early support of our vision of Patriot Gun Club shows that interest in a safe, clean and comfortable environment for shooting sports is high in the Lake Norman and Charlotte areas. Based on our exhaustive review of existing ranges across the country, we believe Patriot Gun Club has set a new standard in the industry. Our first class Club Lounges are impeccably furnished, with granite counters, leather seating, custom made card table, and American Heritage 8’ billiard table. It includes attention to detail only found at private clubs of the highest caliber. We are certain you won’t be disappointed. Our Shooting After Dark™ afterhours access will give Club members an opportunity to use the range based on your schedule, rather than ours. This access, together with all of the other amenities afforded Club members, makes Patriot Gun Club a fresh and exciting opportunity for anyone interested in the shooting sports. Please feel free to forward this Application package to any of your friends or business associates who might also be interested in joining.